It seems like an appropriate time to run today's strip. Not even Elder Ryan can deny the awesome power of the MTC spirit. We're just days away from General Conference. And once again, I'd remind you of the numerous resources available to help your little ones. 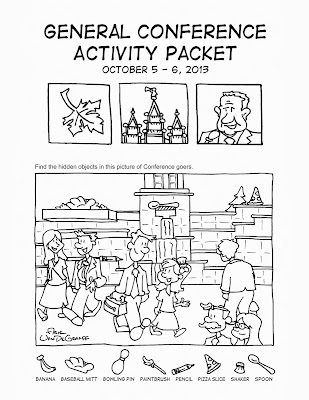 I've put together another General Conference Activity Packet. And thanks to the great work of Fressia Aguilar and Dani Queiroz de Souza, it's available in both Spanish and Portuguese. 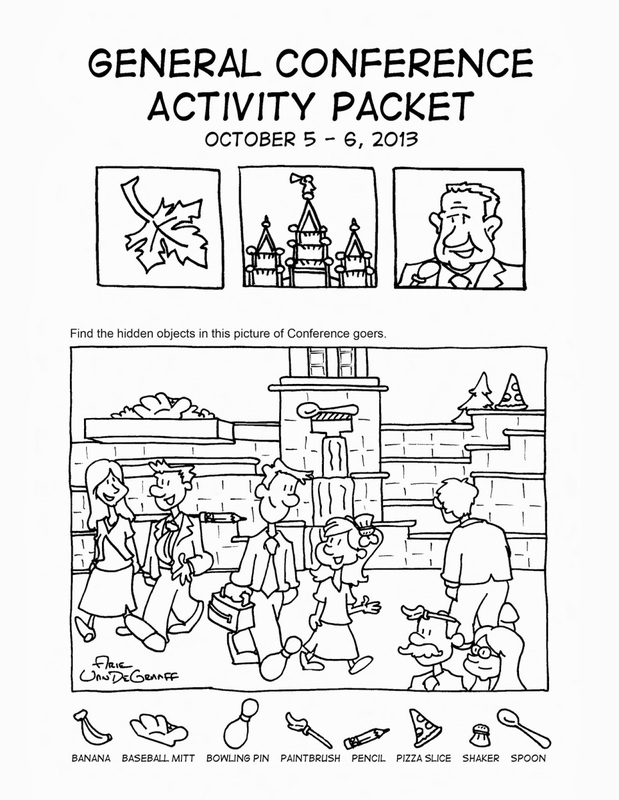 You can find a copy of this packet at both Sugar Doodle and LDS Bookstore. The apps LDS Scripture Heroes and LDS Coloring Book are perfect for quiet time play during conference for those of you owning Apple mobile devices. LDS Laughs, not so much. If you don't own an iProduct, you can still print and color hundreds of LDS coloring book pages the old fashion way, just follow this link. Now That I am Baptized and The Puzzle Book for LDS Kids each contain nearly 100 puzzles bound to entertain your little ones for hours. Thank you for letting me help with that! Hi! Thanks so much for putting these wonderful conference packets together...I use them for all of my kids! I am having trouble printing it this time...both from the sugardoodle and lds bookstore website. It will only print the first page and not the other 11 pages...not sure if you can help?? Send me an email at arie@mormoncartoonist.com and I'll send you a different version (and hopefully it will work better). Thanks for the pdfs of the coloring book...exactly what I've been looking for!